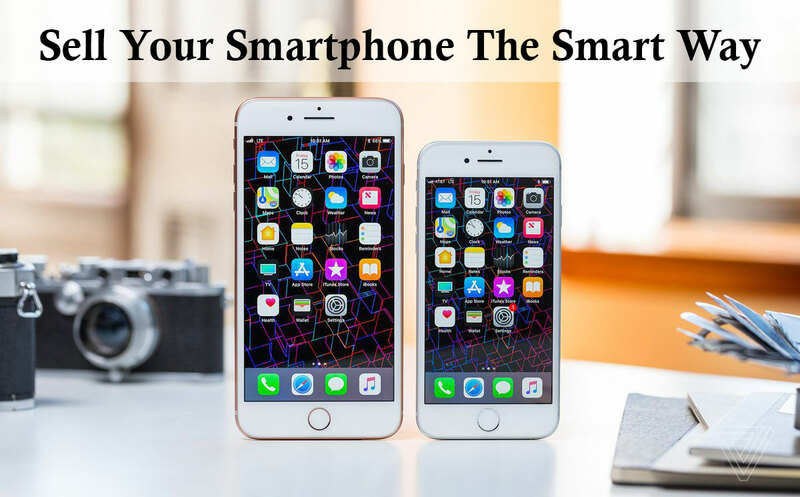 There is some value in your old smartphone, whether it’s from Apple, Samsung, or any other mobile phone manufacturer. And if you have decided to sell it then sell it smartly. Many smartphone users tend to buy a new smartphone every year. They buy a new one and stash the old one in the drawer. Well, there is a lot more you can do with your old device, instead of throwing it away. First and foremost way to take advantage of your old smartphone is to sell it. You can sell it for cash or recycle it or just donate it for a noble cause. ‘Sell my mobile’ is one of the most searched phrases on Google, and that shows most people like to sell their old phones. You too can sell your old handset in a smart way. But before going to say goodbye to your old phone we suggest to make a plan and do some research. After all, your mobile phone is ‘smart’, so you should be smart too. You should keep in mind that Samsung Android phones and Apple iPhones have the highest reselling value in the market. It means that if you have one of these two brands, you can get more money for your device. Below we have shared some of the smart ways to prepare and sell your old handsets for most money. These are two different steps to follow. If you are selling your number as well with your phone then you have to make sure that you have properly deactivated the service. It’s an easy step which most people forget and it causes a lot of problems. The easiest way to deactivate your service is via calling your carrier’s customer service and ask them about the process of removing the service for your phone. You can also visit your online carrier account if you have any. And in case, you are keeping that number, then do not deactivate it. Just remove the SIM card from the phone. And sell your phone without it. Your old phone probably has 32 or 64GB of memory, which would be filled with your photos, videos, contacts, playlists, games and more. And you definitely want to keep your personal stuff safe. The best way to do that is to Back up your data. Just save your data from the old phone to a device where it can remain safe and secure and then transfer it to your new phone. The backup process is very simple and takes just a few minutes from your personal PC or laptop. You can also transfer your data to any cloud-based service such as Dropbox or Google photos. As we mentioned earlier, if you do not want to sell your service network with your phone then remove your SIM card from that phone. You will use this SIM for your next phone. Along with your SIM card, don’t forget to remove the external SD card as well. If you are selling an iPhone then you don’t have to worry about the SD card because iPhone doesn’t support external storage. And if you are selling an Android phone then make sure to check the external storage option. If there is an SD card in the phone, then remove it. SD card also stores your personal data and files. But if are also selling SD card with your phone, then we recommend to format your SD card first and then sell it. Formatting the card will delete all the data from it. You kept your phone for such a long time and now you are going to sell it. The phone must have your data and settings saved in it and you surely don’t want that to go into the wrong hands. There are two steps you should take to wipe clean your phone. First, you should encrypt your phone. This formats all of your data, so that it cannot be recovered. After this, do the second step which is to factory reset your phone. You can find these two options in the Settings menu of your smartphone. These two steps will completely erase your data and settings from the smartphone. Now here, most people only do one step and that is factory resetting the phone. But to secure your data completely, we recommend that you should do both of these steps. After doing the necessary steps with your smartphone, the very next thing you should do is to find a place where you can sell your smartphone conveniently and that too for cash. If you are living in the UK and love to indulge in online selling and purchasing then you must be aware of one of the largest online marketplaces in the world, eBay. Through eBay, you can sell your smartphone easily and in return, you will be able to get some cash. There are millions of potential buyers on eBay which are ready to buy your smartphone. Just snap your smartphone, make an account on eBay, and list your handset there. You can set your own price or set it up for bidding. Also, remember that eBay has its fee, so keep this in mind while setting up the price. 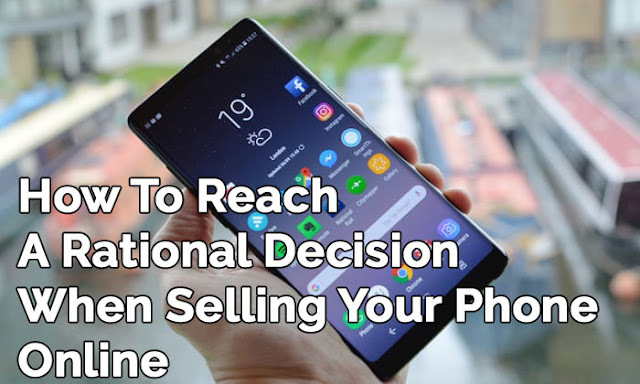 When it comes to selling your mobile phone online for the highest money, your obvious choice should be SellTheMobile. It is one of the UK’s fastest growing mobile phone recycling comparison websites. You can sell your smartphone of any brand and in any condition. Just search your mobile phone through SellTheMobile portal and sell it for a handsome amount of cash. Nice post share…Keep posting.Your article is good enough forsell old phone. 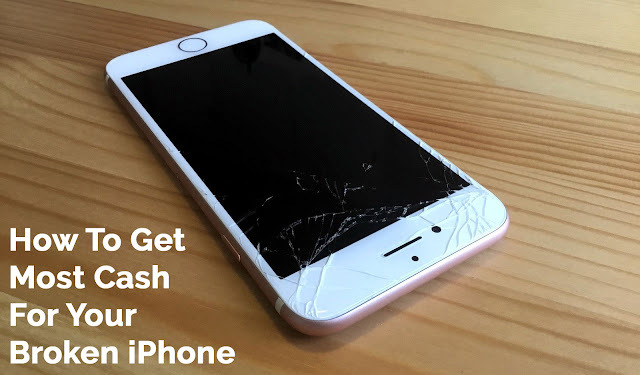 Everyone easily earn cash by sell Phone when you decide to sell them instead of throwing them away.